European aircraft carrier Airbus this week snapped up a majority share in Canadian Bombardier’s C-series regional jet and announced plans to produce some of the planes in the US. The move could be a major blow to US rival Boeing, which has aggressively pursued both Airbus and Bombardier through trade disputes. 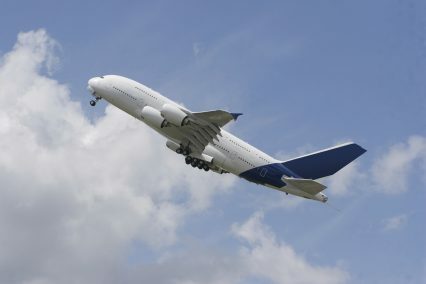 By proposing to manufacture the C-series jets for the US market in its Alabama plant, Airbus may help Bombardier avoid 300% punitive trade tariffs recently slapped on it by the US department of commerce. The charges came after Boeing complained that Bombardier had received unfair government subsidies from Canada and the UK, where it manufactures the wings for the planes. Boeing argues that the subsidies allowed Bombardier to sell the jets to US airline Delta for below cost price. Delta has placed a US$5.6bn order for up to 125 of the new jets, with delivery due to begin in 2018. Both the UK and Canadian governments have threatened to hit back at Boeing by cancelling defence contracts it has with them. Airbus’s move has been applauded by many industry commentators, as in one step it will see the struggling C-series rescued from financial crisis while at the same time allowing Airbus to acquire a 50.01% stake in a state of the art aircraft at no cost. Whether or not future local production in the US will result in the current charges being dropped remains to be seen however. Under the agreement, the C-series will leverage Airbus’ supply chain expertise and Airbus anticipates “significant production cost savings”. Primary assembly lines and functions will remain in Québec, but a “growing market for the C-series results in a second final assembly line in Alabama, serving US customers”, says Airbus in an announcement. Through Airbus, the jet, which has not secured a new order in 18 months, will also get a better sales network, particularly in Asia, where Airbus has a stronger market position. “The C-series is an excellent aircraft: the next step in regional air travel,” says Sneller.